The eruption of mass protests in the wake of the police murders of Michael Brown in Ferguson, Missouri and Eric Garner in New York City have challenged the impunity with which officers of the law carry out violence against Black people and punctured the illusion of a postracial America. The Black Lives Matter movement has awakened a new generation of activists. 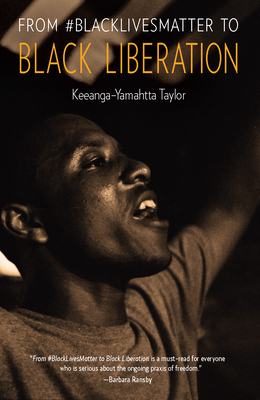 In this stirring and insightful analysis, activist and scholar Keeanga-Yamahtta Taylor surveys the historical and contemporary ravages of racism and persistence of structural inequality such as mass incarceration and Black unemployment. In this context, she argues that this new struggle against police violence holds the potential to reignite a broader push for Black liberation. Keeanga-Yamahtta Taylor writes on Black politics, social movements, and racial inequality in the United States. Her articles have been published in Souls: A Critical Journal of Black Politics, Culture and Society, Jacobin, New Politics, the Guardian, In These Times, Black Agenda Report, Ms., International Socialist Review, Al Jazeera America, and other publications. Taylor is assistant professor in the department of African American Studies at Princeton University.